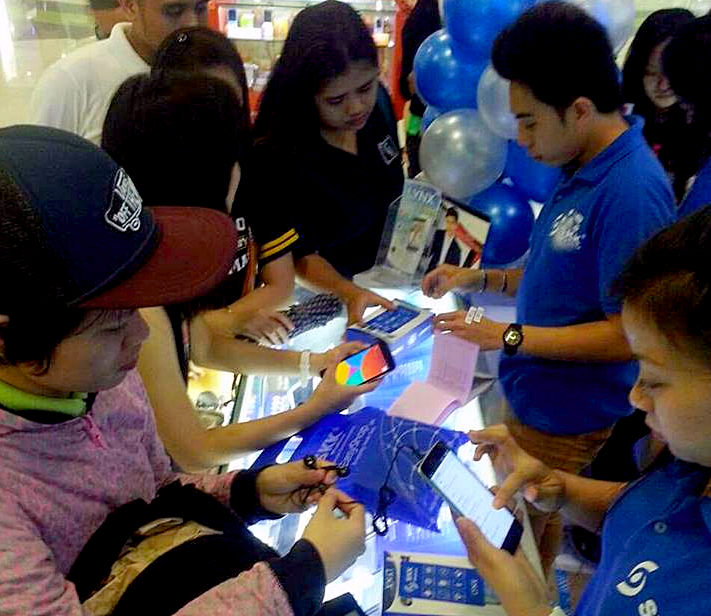 SKK Mobile continues to challenge bigger local electronics companies by coming up with smartphones and tablets that have both good technical specifications as well as a very affordable price tag. 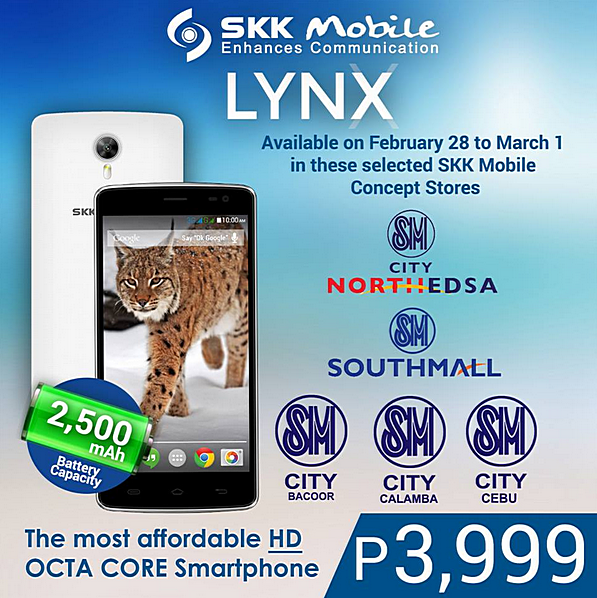 In line with its overarching vision of giving every Pinoy a chance to experience the latest in mobile technology for a whole lot less, the company recently launched the SKK Mobile Lynx. 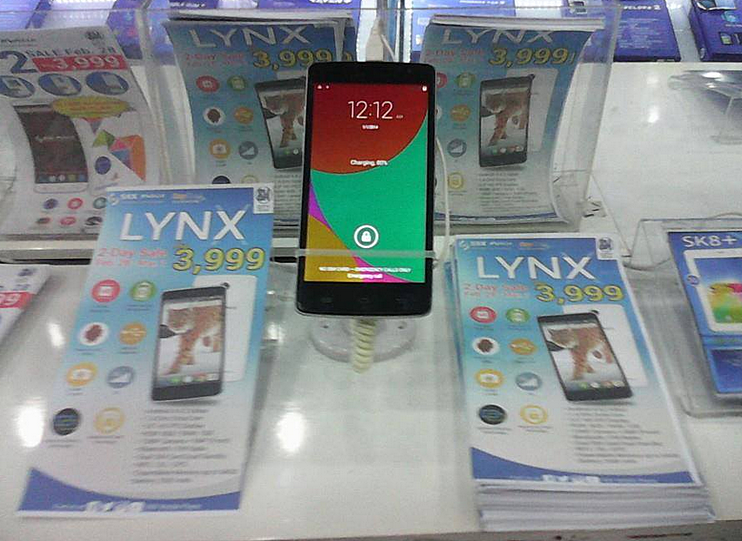 Donning an official suggested retail price of only Php 3,999, the Lynx is currently the most affordable True Octa Core smartphone with an HD display that you can purchase in the country currently. 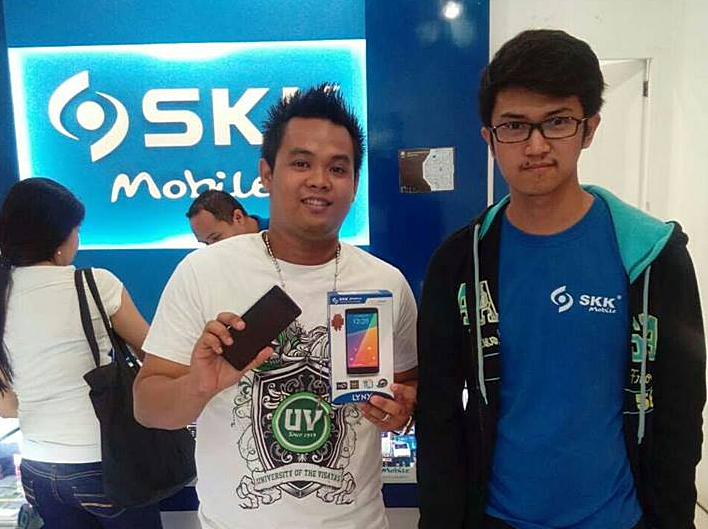 Launch Photos of SKK Mobile Lynx courtesy of SKK Mobile Digital Team. 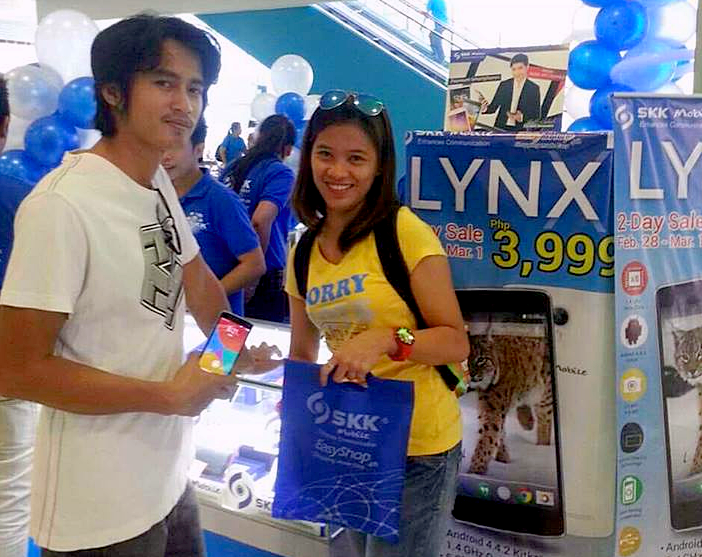 All of the buyers in the photos appear delighted to take home their SKK Mobile Lynx units -- and why not? 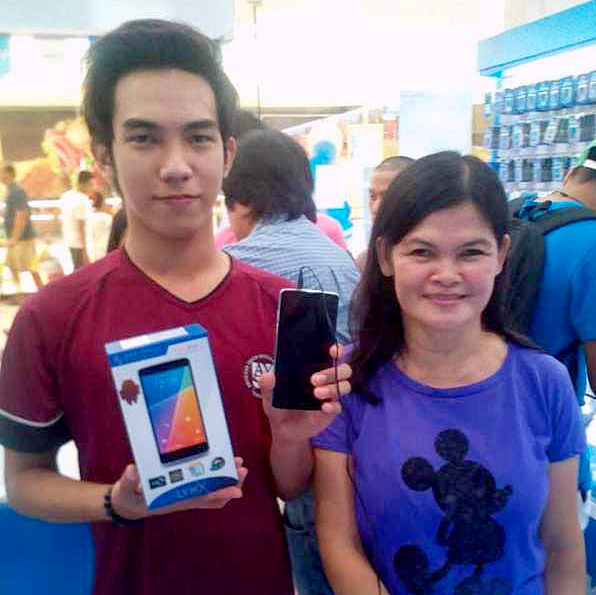 For only Php 3,999, they now a smartphone with a 5-inch HD IPS display, 13 MegaPixel autofocus camera with strong LED flash, 5 MegaPixel front cam, and HD video recorder. 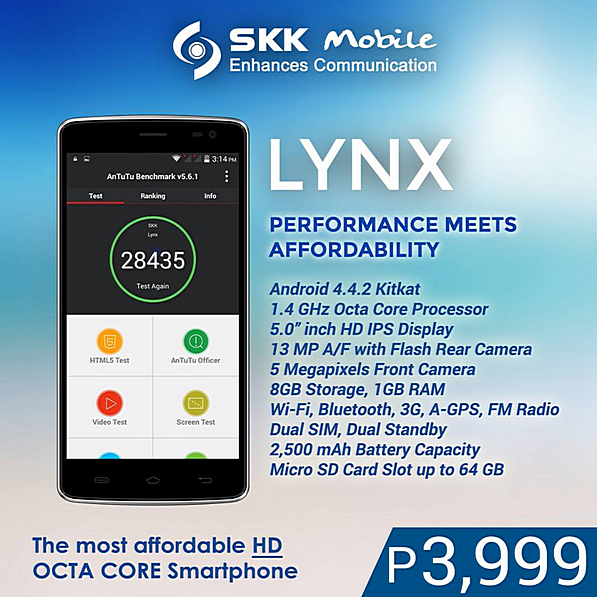 Apart from the phone's good display quality and imaging capabilities, SKK is also particularly proud of the Lynx's internal hardware and battery capacity. The handset runs vanilla Android 4.4.2 KitKat operating system with its Octa Core 1.4 GHz ARM Cortex A7 and Mali 450 GPU based MediaTek MT6592M chipset, handles multitasking with 1GB of RAM, and has 8GB of internal storage that users can expand through the phone's microSD card slot. Lynx is powered by a removable 2,500 mAh Li-Ion battery, which is already one of the bigger packs you'll find on a smartphone in this price category. 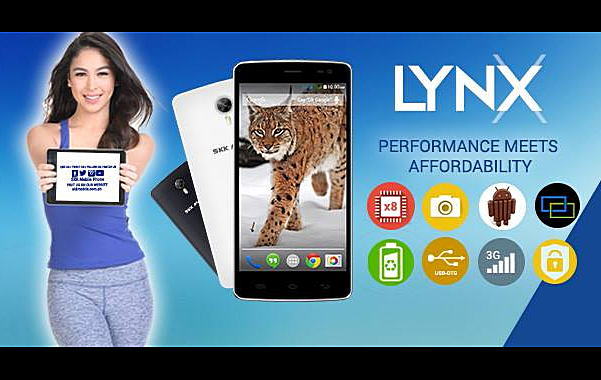 According to owners of this smartphone whom we've talked to, Lynx has an uptime of around 24 hours with mixed usage, which is not bad at all. 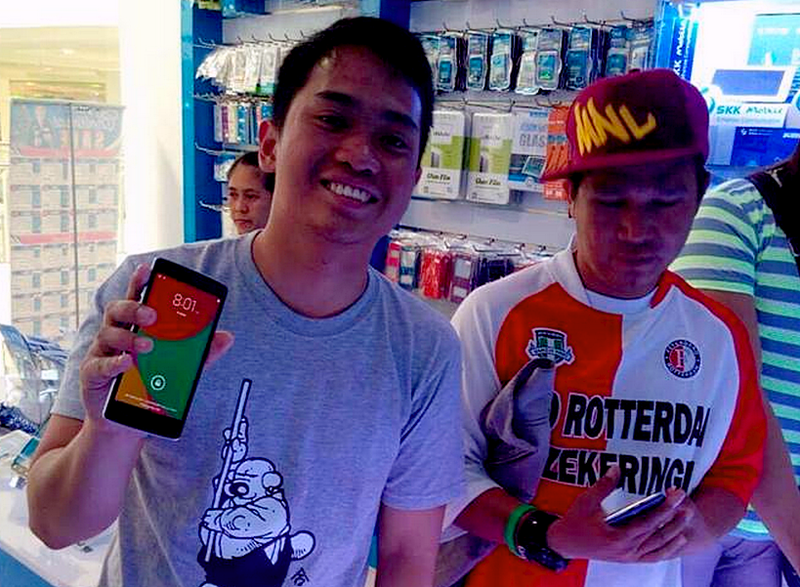 In fact, it's great for a smartphone that's priced at less than Php 4,000. 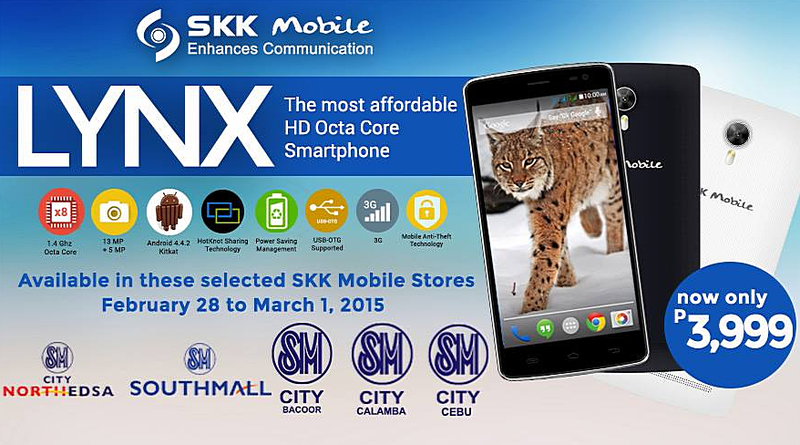 TP Friends, I have a feeling that SKK Mobile's main rivals - MyPhone and Cherry Mobile - will soon release competing handsets with similar technical specifications and price tag. See? 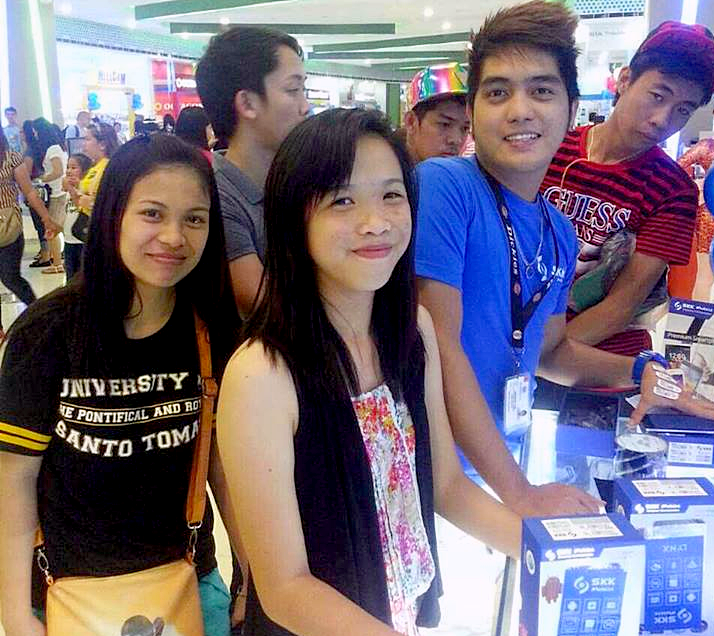 Stiff competition among brands is always good. 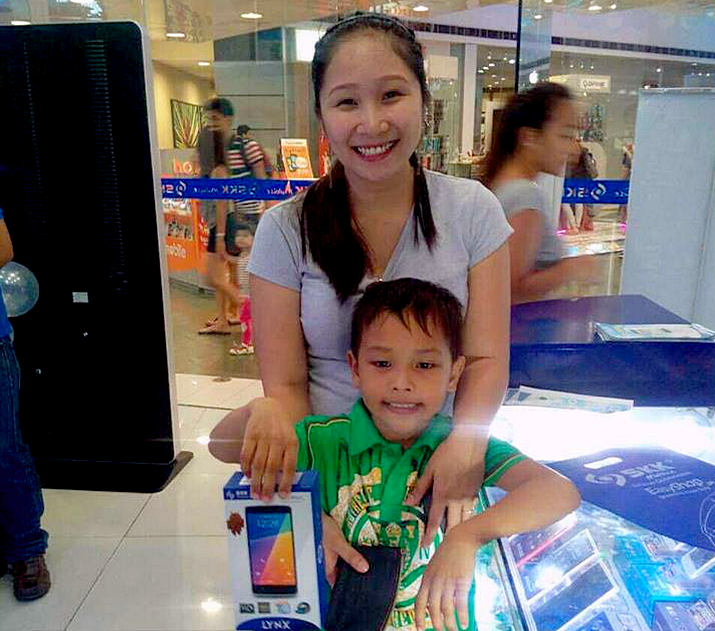 If anything, it benefits consumers because it guarantees the quality and affordability of the devices that are being offered to us.